Today we organised a morning tea to fundraise to save the kiwi birds at work. Each tea member brought something they had baked the night before: lemon cheese cake, brownie cakelets, savoury mini tarts, bluberry muffins... I baked mini cannelés with kiwifruit, which is an unusual twist for sure, but worked well. The star of the morning tea was, for me, the chocolate chip cookies. Oh my goodness, they were a surprise. With the first bite I was already sold, its soft sweetness sliding along my tongue. 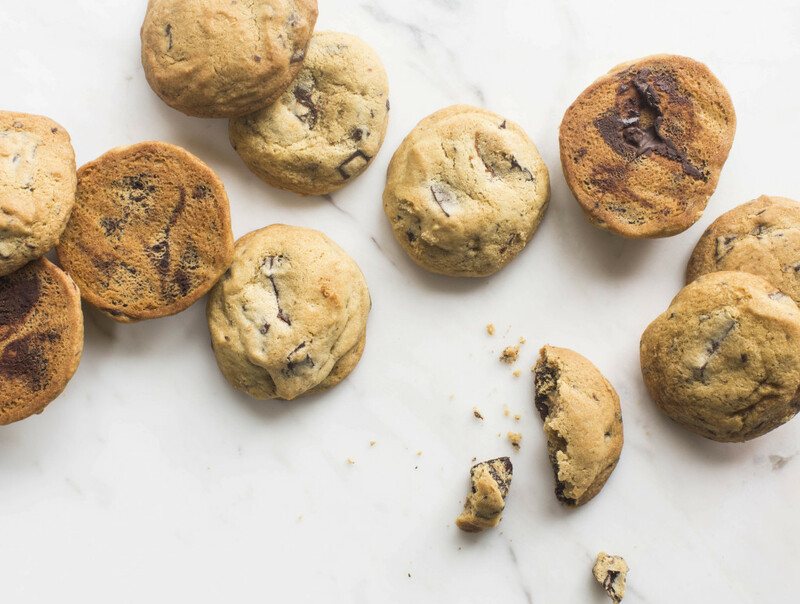 Chelsea Winter's chocolate chip cookies are the best and is forever bookmarked whenever in need of gooey sweetness.